This book draws on the firsthand observations and early accounts of classical writers to piece together a detailed portrait of the ancient Celtic peoples of Europe and the British Isles. Philip Freeman groups the selections (ranging from short statements to longer treatises) by themes—war, feasting, poetry, religion, women, and the Western Isles. He also presents inscriptions written by the ancient Celts themselves. 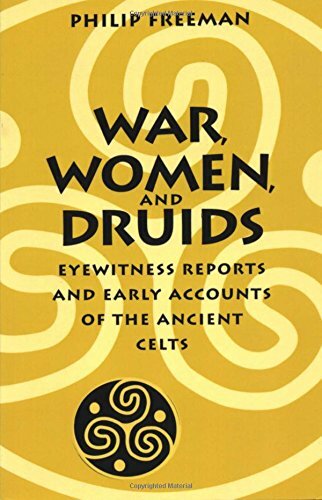 This wealth of material, introduced and translated by Freeman to be especially accessible to students and general readers, makes this book essential reading for everyone fascinated by the ancient Celts.